While we at CBDPure have always maintained a conservative approach when it comes to state laws regarding CBD and other cannabinoids, the 2014 Farm Bill Act has always provided legal protection for those using CBD extracted from industrial hemp. While the vast majority of states now have some type of allowance for low-THC cannabidiol (Often named after the first patients approved for treatment) a few outliers remained. A few states, notably Arkansas, Kansa, Louisiana, and Indiana, have maintained certain state-level laws or policies unfriendly to producers of CBD. These states, while not directly criminalizing the possession of CBD products, have historically added a level of uncertainty to buying and selling CBD within their borders. Recently, Indiana has left that list, with a historic new bill passing their legislature, unanimously, that once and for all ensures the rights of Indiana citizens to have access to CBD products without the need for a government waiver or permission. Indiana is unique that the overturn of outdated laws regarding cannabis oil extracts came about precisely because of statements by Governor Holcomb that CBD was illegal in his view. This didn’t sit well with constituents, or the legislature apparently, as Senate Bill 52 fully legalizing CBD usage was quickly drafted and passed unanimously by the State Senate. A similar bill was also passed by the House, and the measure was signed into law by Governor Holcomb despite his earlier opposition to cannabidiol products. 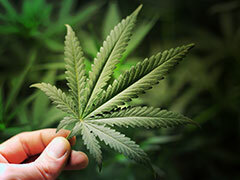 This new law cleared up confusion about the law regarding CBD usage, fully authorizing its use so long as the THC content remains below 0.3% (which all CBD Pure products comply with). New labeling draft guidelines are likely to be made public in the upcoming months. Indiana provides a template for how confusing or restrictive state laws can be changed to guarantee access to CBD products for patients desperately seeking natural treatments for their health issues. Governor Holcomb’s negative comments about CBD initially resulted in a widespread call for action to clarify the right of Indiana residents to use CBD products, and the legislature responded almost immediately with a new law that takes Indiana from one of the most restrictive states to being one of the most open when it comes to legal CBD. 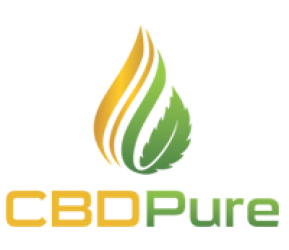 In recognition of this new legislation guaranteeing access to Indiana residents, all new customers can use coupon code INDIANA15 on all CBD Pure products to get 15% off their entire purchase.